We connect teams of volunteers for greater impact. Ready to harness your team's energy and do some good? "Every year we do a Done-in-a-Day volunteer project called Fields for the Future. This is a project where our staff volunteers their time to renovate and beautify a baseball field in the City of Cleveland. BVU really does a lot of behind the scene work for us to set it up so that when we go out there that day, it's really easy for people to engage and just get into the work and have a great day. "Community outreach has become a large focal point for our team here at OverDrive. Partnering with BVU was one of the best decisions we made this year for OverDrive, our team and the community. It has ignited our desire to give back and has helped us do it with success and impact." 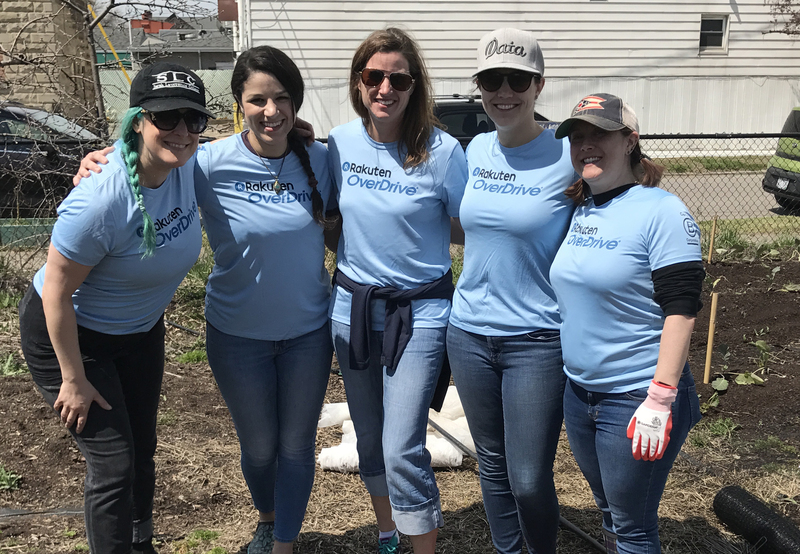 Whether you have 5 or 500+ employees, we can help connect you to community needs of all types: from serving a meal at a hunger center to park clean-ups or student mentoring. "BVU makes it easy for small nonprofits, like RePlay for Kids, to reach volunteers. The service they provide of coordinating team events and connecting us to local business is invaluable. Their services allows our small staff to focus on our mission of increasing the availability of adapted toys to kids in need." Impactful team projects increase efficiency, effectiveness, and reach for years to come. Match your interests with volunteer opportunities. Team projects help engage employees, boost morale, and increase overall collaboration. Here’s How It Works. Businesses contact BVU with their team project needs. Nonprofits contact BVU with their need for a group of volunteers. For Businesses: BVU will ask a set of questions to help us find the perfect project for your team. For Nonprofits: BVU will meet with you to scope the volunteer project. For Businesses: BVU will provide a list of opportunities that match your criteria. Businesses will select their top 2 or 3 choices and BVU will get to work setting up a great volunteer project for your team. For Nonprofits: BVU will recommend your project to groups of volunteers. Step 4: Get to Work! For Businesses: Arrive at your volunteer project on the selected day/time and have fun getting to know your coworkers better while making a difference in the community. For Nonprofits: BVU will confirm the project details and guide you on best practices for a successful volunteer event.